Robin grew up on the B.C. coast and has been sailing these waters for most of his life, the last nineteen years as a BC Coast Pilot. Pilots board vessels out at sea and bring them safely into the Port of Vancouver. Nobody knows the local waters like a marine pilot. Last year the ECHO program undertook a vessel slowdown trial in order to better understand whether slower ships are quieter. Underwater noise can interfere with a whale’s ability to feed and communicate, so this trial aimed to learn more about minimizing this impact. Listening devices were used in the ocean where whales feed. Ships were asked to voluntarily slow down in that area, and industry responded with strong participation in the trial. 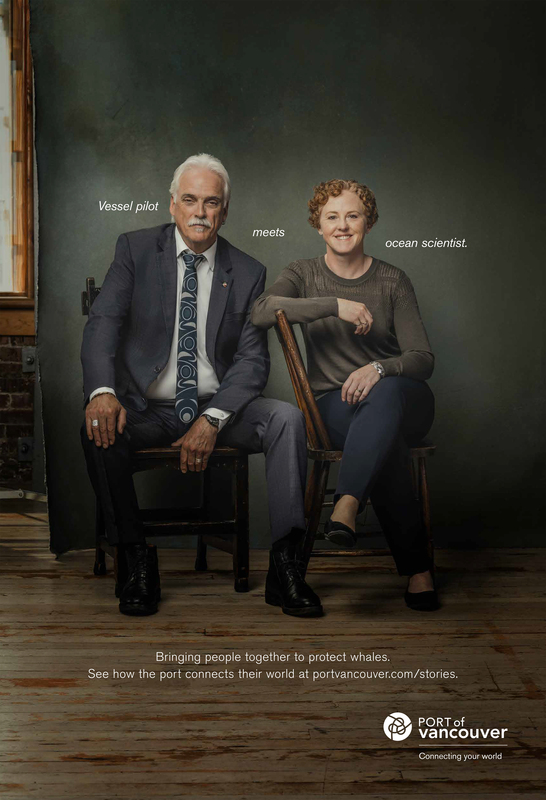 Robin and Krista are two of the people working behind the scenes to help endangered whales. We connected these two so they could chat about the results of the slowdown trial and how working together can make a difference to the welfare of local wildlife. It’s just one of the ways we’re connecting your world.